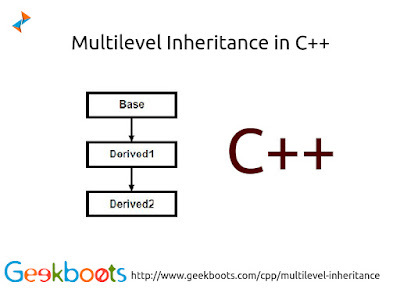 Multi-level inheritance is a type of inheritance in object oriented programming. Where a subclass is inherited from another subclass. Like, class A is the base class of class B, while class B is the base class of class C. Class C therefore inherits all public and protected members of class A and class B.